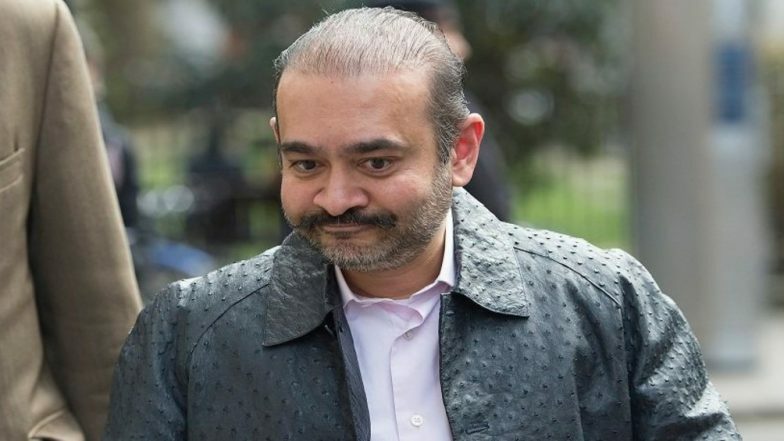 London, March 20: Nirav Modi, prime accused in the Rs 13,500 crore PNB fraud case, was arrested in the United Kingdom. As per reports, Modi was arrested from the Holborn Metro Station on Tuesday. He was produced before the Westminster court on Wednesday. The case has been posted to the Chief Magistrate and the next hearing in his case will be held on March 29. Nirav Modi's arrest comes days after a UK court issued an arrest warrant against fugitive Indian diamantaire. The Westminster Court issued the arrest warrant on March 13, according to the Enforcement Directorate (ED). reports say that a non-bailable warrant has also been issued against the fugitive businessman's wife Ami Modi. According to reports, the Enforcement Directorate has got permission from the PMLA court to sell 173 paintings belonging to Nirav Modi. The ED will also auction 11 cars owned by him. Nirav Modi was recently spotted in a tony neighbourhood of London wearing a 10,000 Pound Ostrich hide jacket by the London-based newspaper The Telegraph. An extradition request against Nirav Modi has been pending before the UK authorities since last September. The Interpol had issued a red corner notice against him in July 2018 on the request of ED and the Central Bureau of Investigation (CBI). PNB Scam: Enforcement Directorate Files Fresh Charge Sheet Against Nirav Modi. Nirav Modi has fled after allegedly syphoning off about Rs 13,000 crore from Punjab National Bank (PNB) using Letters of Undertaking (LoU) in collusion with his uncle Mehul Choski. The CBI registered an FIR against him on January 31 on the basis of the complaint against him and Choksi from the bank. It was followed by another FIR by the agency against him. Nirav Modi’s Seaside Bungalow 'Roopanya' in Alibaug Demolished Using Controlled Explosives, Watch Video. Nirav Modi’s brother and wife were also named as accused in the FIR. His wife Ami, a US citizen, brother Nishal, a Belgian, and uncle Choksi, Gitanjali group’s promoter, had also fled the country in the first week of January. The case pertains to allegedly cheating the state-run Punjab National Bank (PNB) through fraudulent issuance of Letters of Undertakings (LoUs) and Foreign Letters of Credit (FLCs). The ED on February 26 attached Rs 147 crore properties of the fugitive businessman and his associate companies in connection with the PNB fraud case.